In the shadow of the iconic Tokyo Tower, a former sake distillery transplanted from the countryside provided the setting for an unforgettable dining experience we enjoyed in Tokyo last fall. When Larry and I stepped inside the gates of Tokyo Shiba Toufuya Ukai restaurant we were welcomed by a beautiful garden and kimono-clad staff and felt immediately transported back to the Edo period of Japan. As we entered the restaurant beneath a traditional noren (curtain) hanging in the entryway we felt immersed in the history of this 200-year-old sake distillery which was relocated to this site in its entirety. As with the outdoor garden, the interior decor reflected the period of traditional Japan. 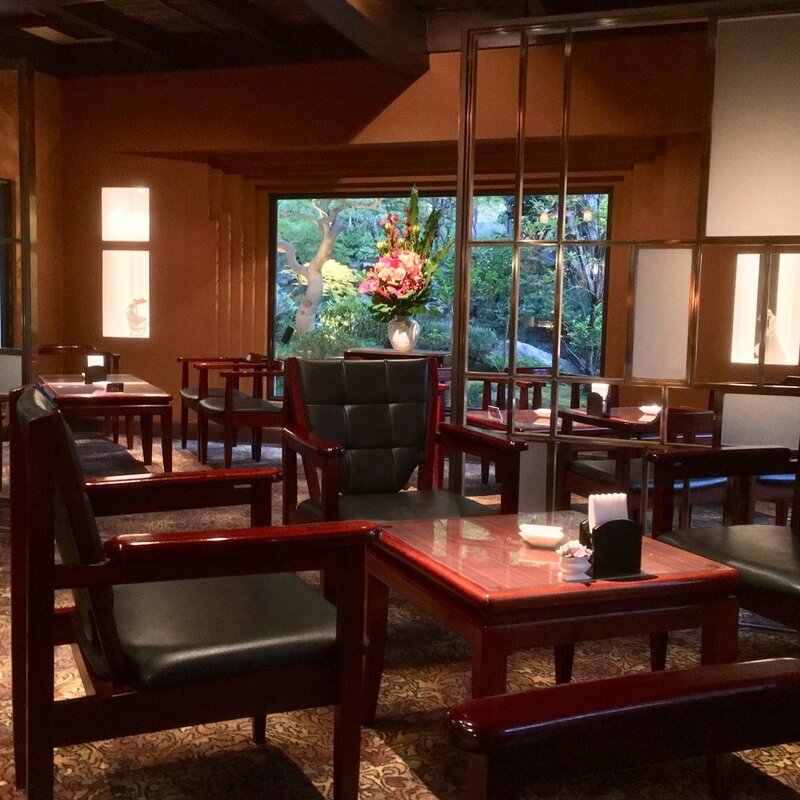 Toufuya Ukai is located in the Minato-ku Prefecture, home to many foreign embassies and headquarters for some of Japan’s largest companies including Honda, Mitsubishi, Sony, Fijitsu and Toshiba so it is a very popular spot for business meetings and receptions. 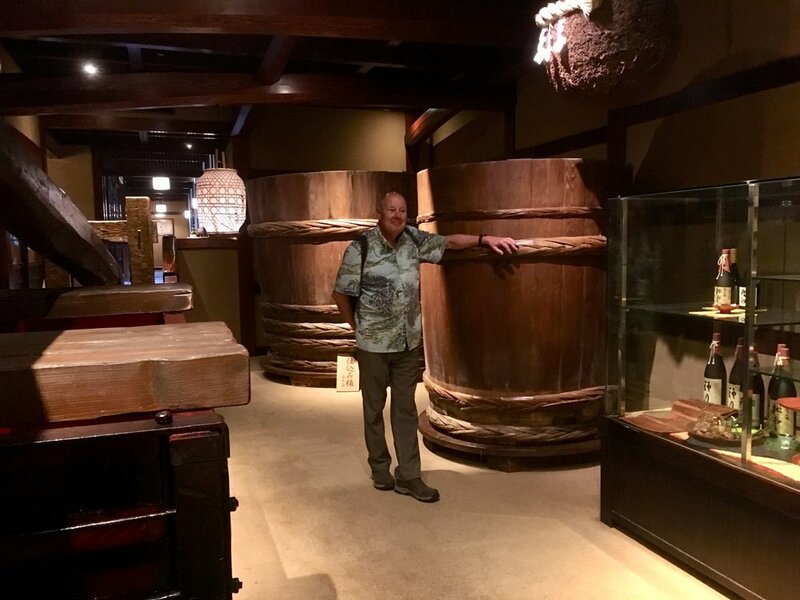 As we were escorted to our private dining area we proceeded through the reception area where the original sake barrels and press were on display. We also passed by beautifully designed vignettes inspired by the autumn season before entering a winding hallway connected to quiet passages leading to private rooms. In all, there are 55 rooms, many furnished in the zashiki-style with tatami mats and sliding screens. We paused to remove our shoes before entering our dining room with a view of the traditional Japanese garden outside. 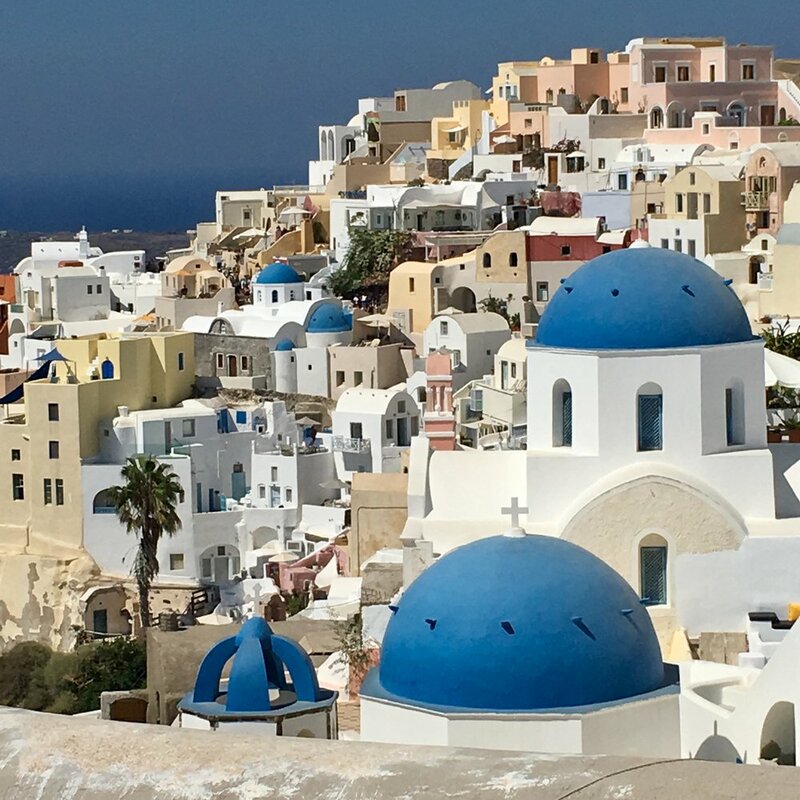 We had made our reservations well in advance and opted for the last lunch seating at 2:30 so we could retire to the restaurant’s lounge after our meal for a drink at dusk. It happened to be a national holiday on the day of our lunch so the restaurant was only offering the 9-course Tsuki menu option which was about $120 per person. It was a little more than we had planned on spending but the upgraded menu included Wagyu beef which turned out to be one of the highlights of our meal. 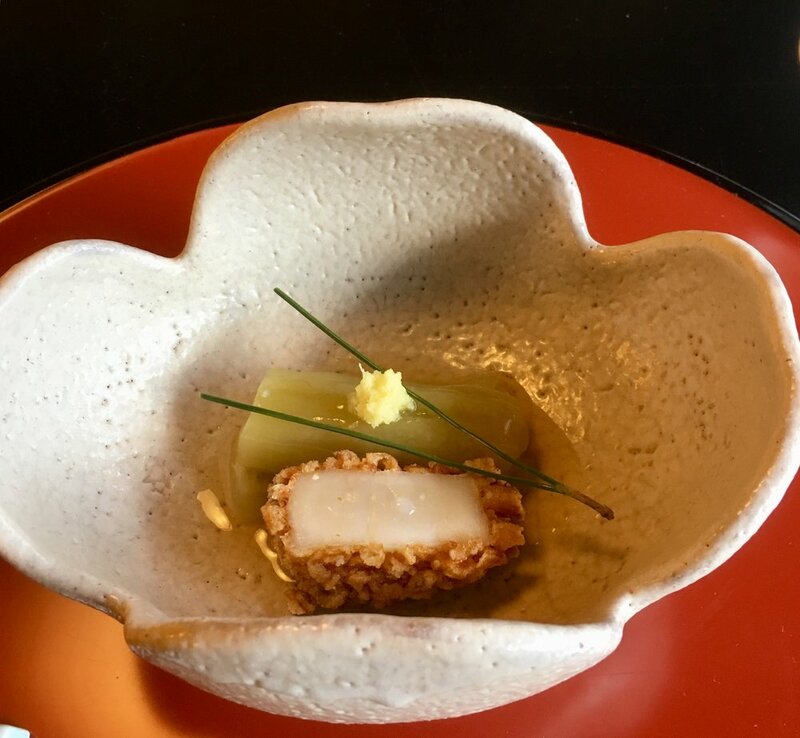 The menu changes throughout the year to highlight seasonal ingredients at the peak of their flavor but the main dish on any of the tasting menus is tofu, for which the restaurant is famous. The tofu here is crafted with high-quality soybeans and spring water and cooked with wood charcoal. 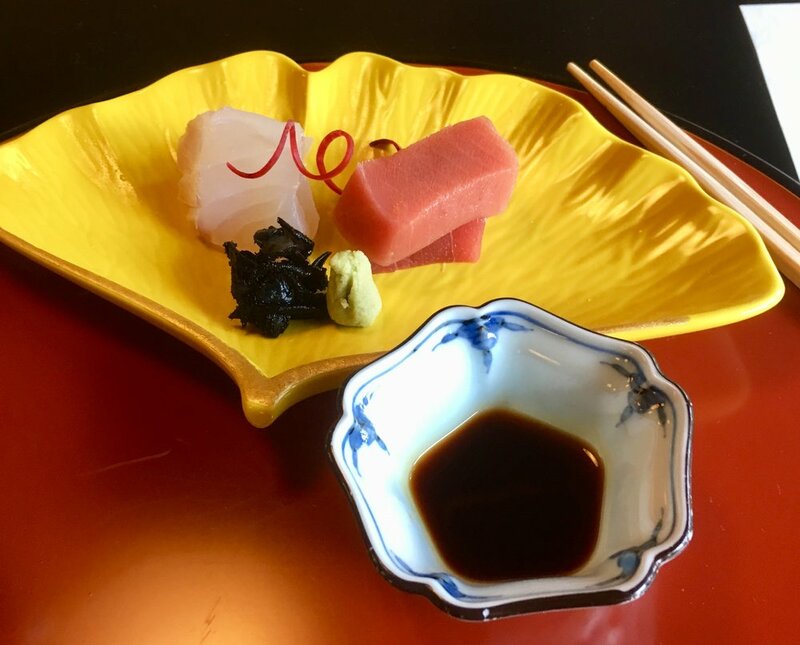 The courses were served on colorful and sculptural plates, bowls and cups or nestled in lacquered bento boxes because Japanese food is as much about the preparation and presentation as it is the food itself. 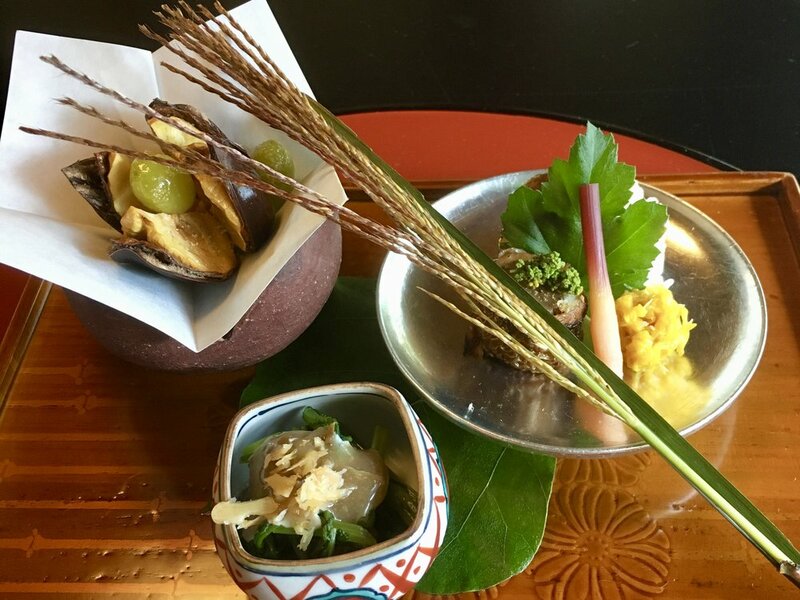 Attention was also given to the seasonal garnishes which included rice stalks and pine needles, reflective of autumn. Here’s a gallery of the nine courses we enjoyed. After lunch we retired to the art-nouveau and Japanese style lounge (Kisshou-an), for a glass of sake an yet another view of the garden illuminated at dusk.